The student is at the heart of Catholic education and is the primary focus and starting point of Catholic school leader action. This is the core from which other content follows, including learner agency, student engagement and support, how students learn and develop – and what school leaders need to be mindful of in providing learning opportunities for their students, and the professional learning of their staff. This module takes what is known about student learning and engagement and invites participants to consider how they might lead the design of learning opportunities and experiences that foster student engagement and learning in their school. Areas for investigation include the principles of quality teaching, incorporating intentional curriculum and coconstructed learning and curriculum design. Learning designs that encourage learner agency will be explored (i.e. those where learners have opportunities to reflect, self-assess and monitor their goals, capabilities and learning progress). Participants are invited to consider how the learning designs reflect Christian anthropology of the human person and related questions about appropriate pedagogies and learning designs for a Catholic school. This module highlights the importance of a leader being in relationship with their teams, as well as concepts and practices of shared leadership, professional learning communities and collective learning agency. Participants will build the capacity for leading dynamic teams, as well as working constructively with colleagues, student and parents one-on-one. Leading change at its most fundamental level involves what to conserve and sustain, as well as what to change – at times ‘radically’. This module is squarely focussed on working with such dilemmas and possibilities, as well as being ‘strategic, data informed, and evidence inspired’. To commence the program participants complete a leadership capability assessment. Findings from the survey facilitate the development of an individual action plan that assists each participant to extract optimal value from the program. During the program, participants enter into a coaching partnership with a senior leader at their school. The coaching process is fundamental to the program allowing participants to properly contextualise their learning and align key outcomes to the milestones in the Personal Leadership Project. During the program, participants attend face-to-face workshop days focused on group collaboration and development. Offering a powerful opportunity to work together with peers as part of a wider system of Catholic school leaders, the workshops are a fundamental aspect of the program as they link personal development to system-wide improvement. The Personal Leadership Project is an outcome-driven activity which focuses on opportunities to lead positive change within the school, as well as personal leadership growth. It is a robust evidence-driven multi-phased process which facilitates the interactions between participants and senior school leaders. "Catholic Education SA values the significance of middle leadership roles and the contribution these leaders make to the quality of teaching and learning, wellbeing and the continuous improvement of our schools. Our strategic focus on middle leadership has enabled our system to develop programs which enrich the diverse, distributed and interconnected approaches to leading excellence within our schools. The Middle Leaders Program connects system leaders with teachers working in these roles, and allows us to examine and reflect upon leadership distribution and succession planning. We can also target future professional development to support middle leaders in their current roles and their aspirational leadership pathways. Our partnership with NESLI has enabled us to co-construct a leadership program that finds deep connection with our Catholic context, our leaders and our unique system of schools." Enagge students and promote learner agency. Create innovative effective learning designs. Lead for sustainability and radical change. The leadership of Catholic schools is inclusive and requires the collective efforts and partnerships of many to enable students to be the best they can be. The Catholic Schools Middle Leadership Program (MLP) is designed to support middle leaders within their schools to be part of the collective endeavour to achieve this aspiration. The program is a blended development program that focuses on the critical dimensions of effective, collaborative leadership within the Catholic schooling context. The MLP employs an integrated learning methodology combining expert tuition, peer knowledge-sharing, practical workplace application, and guided personal thought and reflection. The MLP is only run as an in-house program for whole dioceses or individual schools. Minimum participation rates apply. 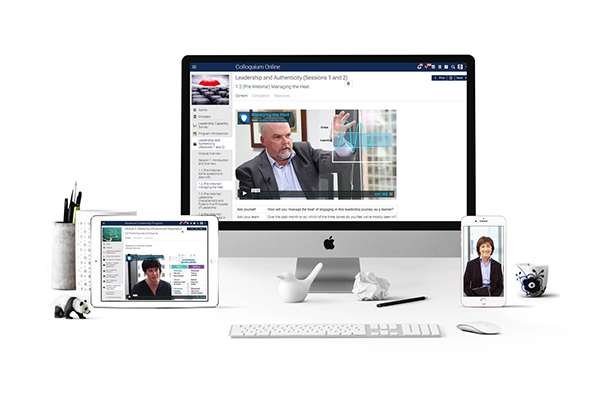 Throughout the program participants engage in four live online sessions, focused on rich discussion and debate, relevant to each topic area. Accessible from any mobile or desktop device, and conducted outside of regular classroom hours, these sessions create a regular connection point enabling collaborative exploration of key ideas and concepts. Reflect upon their values, beliefs and practices as learners, teachers, and leaders in Catholic schools. Map their personal professional and vocational growth as Catholic educators. Engage in evidence-based, integrated and life-giving professional learning.